Rising demand for ceramic white powder, Guar Gum, in Oil and Gas drilling industries has accelerated production of Guar gum in India, Pakistan, China and Australia. 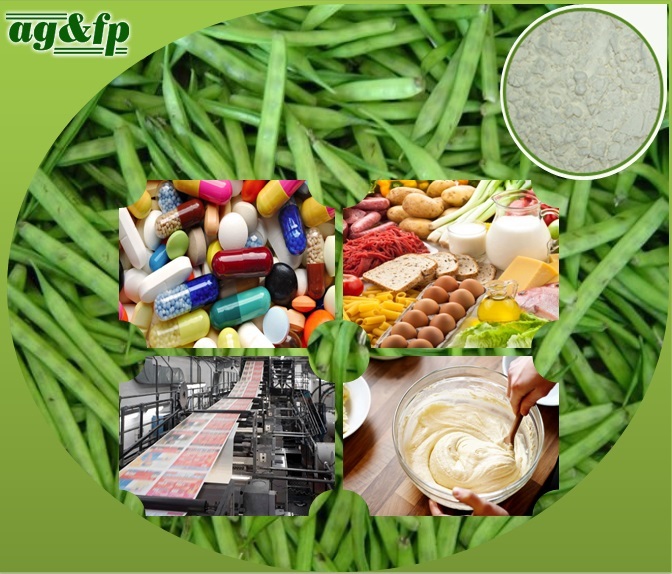 Regular Guar gum has excellent thickening and stabilizing properties which makes it a good for additive (used to enhance the performance of fracturing fluid in oil drilling). While Guar Gum Powder is a good choice it has some problem. Guar gum, when added, takes at least 2 hours to attain desired viscosity. This adds to the already time taking process, for making fracturing fluid. To deal with this, Fast Hydration Guar Gum was been introduced. Fast Hydration Guar Gum, also known as Diesel Slurry Guar Gum, attains the desired viscosity within a few minutes hence cutting down the time required to make the fracturing fluid. • Reduce Surface Tension: Recovery of oil can be a complicated process which can be made easier by using an appropriate surfactant and Fast Hydration Guar Gum serves as the best option. A surfactant is a substance that reduces the surface tension of liquids molecules and hence aiding in separation of two liquids. Because of these properties, it makes this derivative of Guar Gum useful in various other industries including paper, textiles and cosmetics industries. • Works as Synthetic Polymer: Synthetic polymer helps to keep water-based fracturing fluids stable at high temperature and pressure. While Guar gum itself is stable, its derivative, Fast Hydration Guar Gum, has been made even stable and with enhanced non-iconic nature. With such properties, this derivative acts as a stabilizer. • Defoamer: When working underwater, the formation of foams is very a common unwanted process and can lead to interne problem. Fast Hydration Guar Gum acts as a defoamer and avoids foaming. This property makes it preferable for use in paper and textile industries. • Control Water Loss: In oil drilling process, Water loss during filtration can affect the rate of drilling at great extents. Derivates like that of Fast Hydration Guar Gum can be added as fluid loss control additives. This keeps the loss of water under check and hence maintaining the rate of drilling. • Viscosity: Compared to starch, this Guar Gum derivative gives 8 times the thickening. While Regular gum provides with the similar viscosity, it takes 2 hours to achieve it. Fast Hydration Guar Gum, on the other hand, achieves 80% of the viscosity within a few minutes. Because of this, it is used for cooling of mechanical parts and hot materials where high viscosity and quick hydration is required. • Suspending agent: While acting as a suspending agent, this derivative helps circulate out the fine particles. These fine particles, usually, are clay and silt particles which are remains of acidizing treatment. Such particles, when gets accumulated in a considerable amount, can hinder the process of drilling. Overall, Fast Hydration Guar gum act as a thickening agent and additional being used for various other tasks such as lubrication, emulsion, stabilizing and cooling. It is can be cross-linked with certain metallic oxide, such as borates, and help exhibit the carrying capacity for proppant additives of fracturing fluids. Additionally, the level of viscosity of this derivative can be controlled using certain oxidizers or acids which make it highly customizable for meeting the needs. © Copyright 2012. Amba Gums & Feeds Products. All rights reserved.